We have finally reached our destination last night, Battambang Cambodia. We were so excited to see the Fleenors and we believe the Fleenors shared that same excitement with seeing the team. 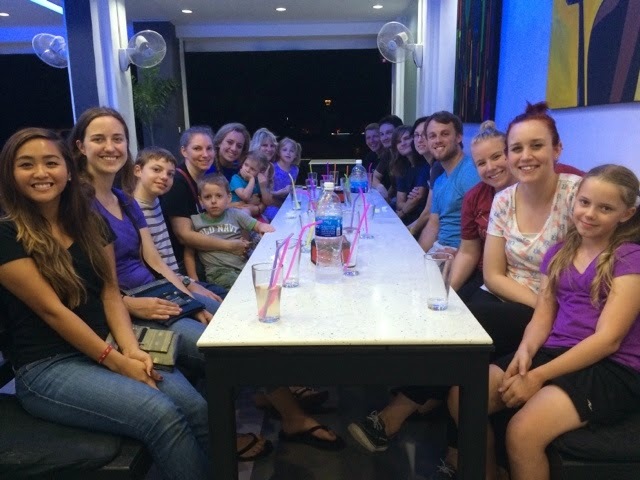 It was very encouraging to see there family and hear about the ministry they are doing here. We will be talking with them today about how we can help with the ministry they are currently doing. We are all very excited and don't know what to expect but we are all looking forward to God working through us this week.